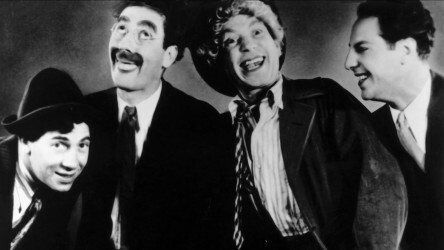 Comedy legends the Marx brothers were known for the no-limits lunacy of their films and Horse Feathers might just be the craziest of them all. 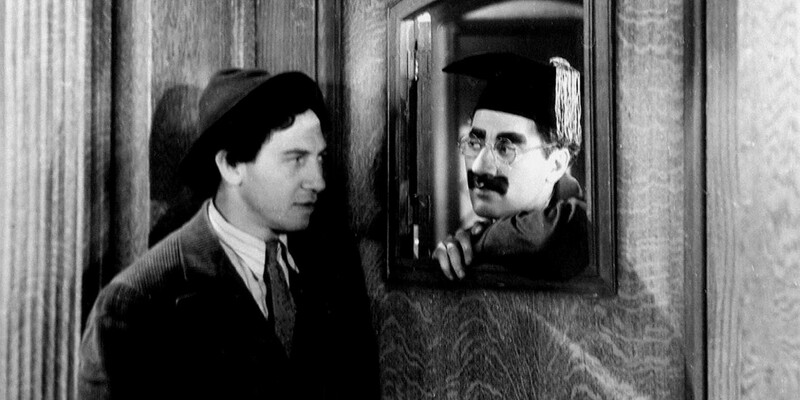 Set at an American college, the fast-talking Groucho plays the new head of the institution, who's desperate to win a sports match against a rival school. 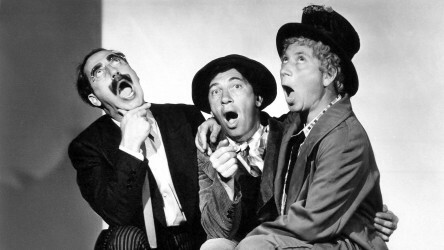 But instead of hiring talented players to help him gain victory, he mistakenly brings in two hopeless oafs named Pinky and Baravelli, played by the silent, havoc-causing Harpo, and the ever-wisecracking Chico. 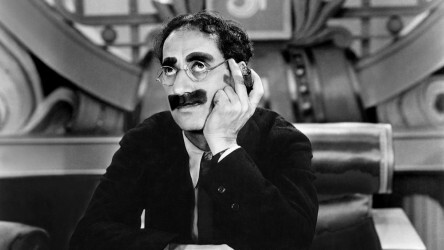 Horse Feathers is a laugh-a-minute, genuine classic of film comedy. Contains very mild innuendo, slapstick violence and scenes of smoking.